A new “Spotted” ribbon will now be available in the game. 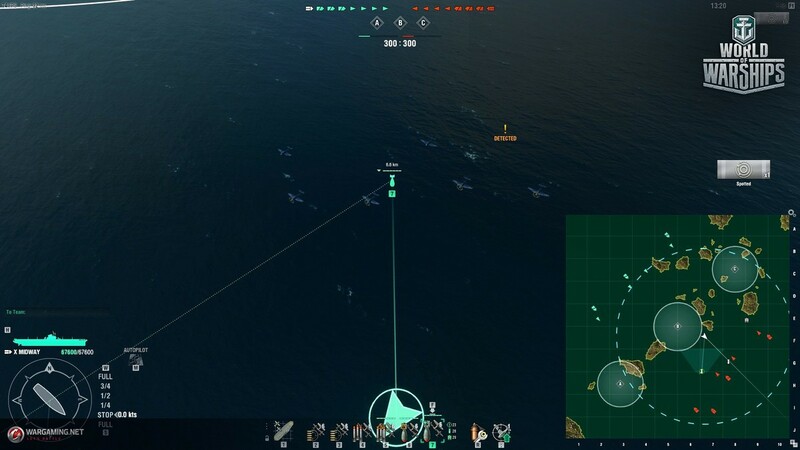 The new ribbon will be issued when you spot a ship that is spotted for the first time or gets spotted again after remaining undetected for at least 90 seconds of battle time. Campaign tasks will be adjusted accordingly: the "Be the first to spot X enemy ships" condition will be replaced with the requirement to score X "Spotted" ribbons. Any tasks already in progress before the update goes live will be completed automatically once the update is installed. Adding to that, all players will now be able to see which type of bombs, AP or HE , is carried by allied and enemy dive bombers in a battle. The new icons will be visible in the game world and on the Minimap. To make gameplay more comfortable, a locked target ship's orientation will now be displayed on the Minimap. By aligning your own course line and that of an enemy ship, you'll be able to fire more effectively. We have slightly enhanced lines on the Minimap to make them thinner and better suited for the overall battle UI. +1 (instead of +0.7) deg/s to the traverse speed of guns with a caliber exceeding 139 mm. -45% (instead of -30%) to risk of modules becoming incapacitated. The main turrets traverse speed was increased from 6.0 to 7.0 deg/s. Good news for players who are find of anime! We're launching a co-project with Azur Lane, a mobile game popular in Asia. 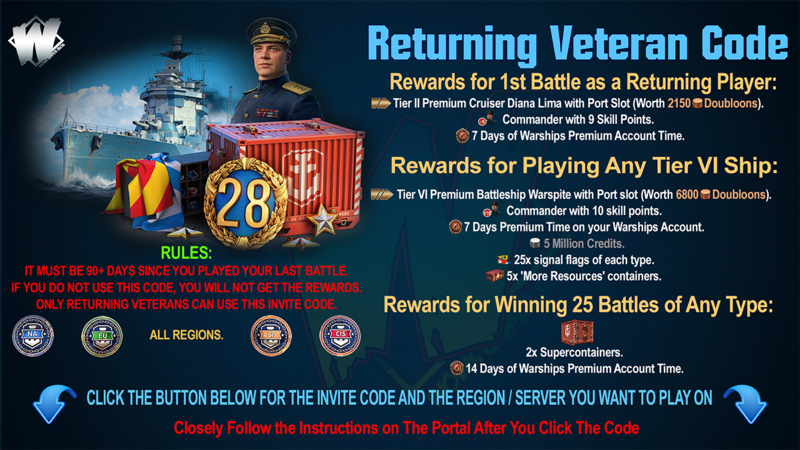 As part of this collaboration, seven Commanders with unique voiceovers will come to World of Warships along with three commemorative flags and an expendable camo. 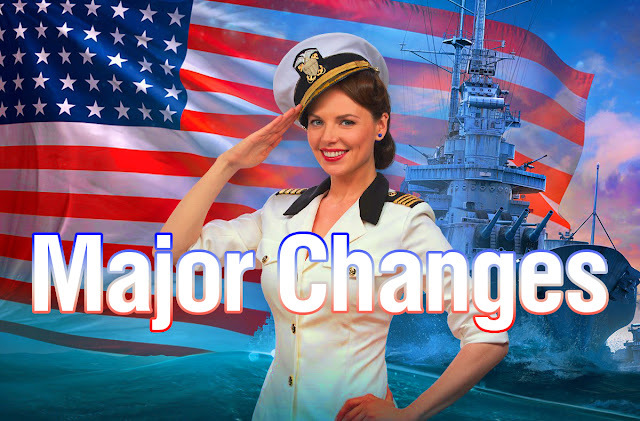 One of the Commanders that will stand at the helm of battleship Nelson and the Azur Lane expendable camouflage patterns will come as rewards for completing a chain of combat missions. 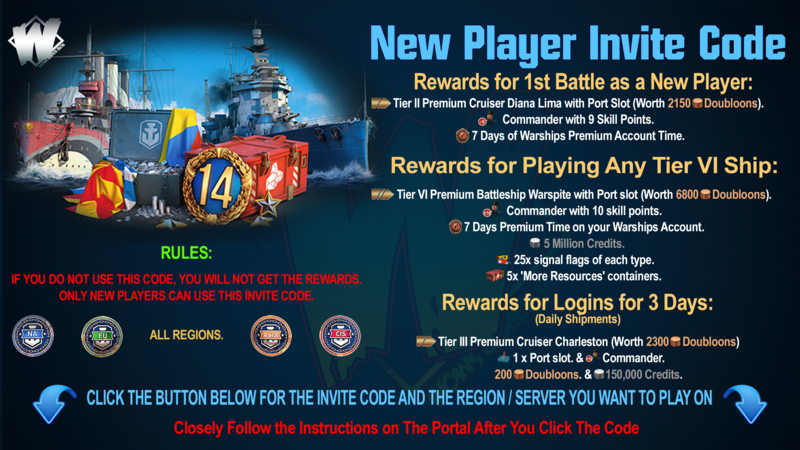 The other Commanders as well as the commemorative flag will be available in the Premium shop.